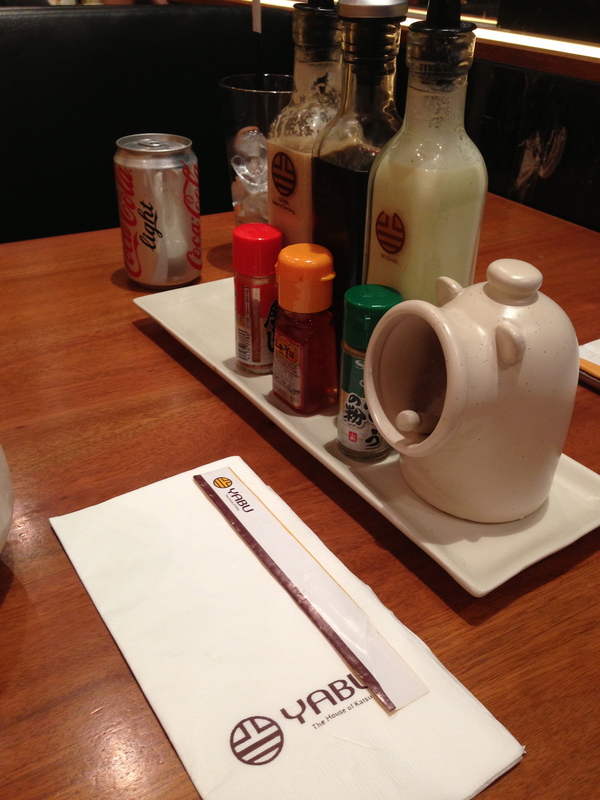 After more than a year, we’ve finally tried Yabu. We were checking out SM Aura and ended up having dinner at Yabu since there were only 3 restaurants (Coco, an italian resto, and Yabu) open at the top floor. Happy Lemon (which had a tiny cockroach crawling inside–but I still bought :-P) and Coffee Bean and Tea Leaf are also already open. 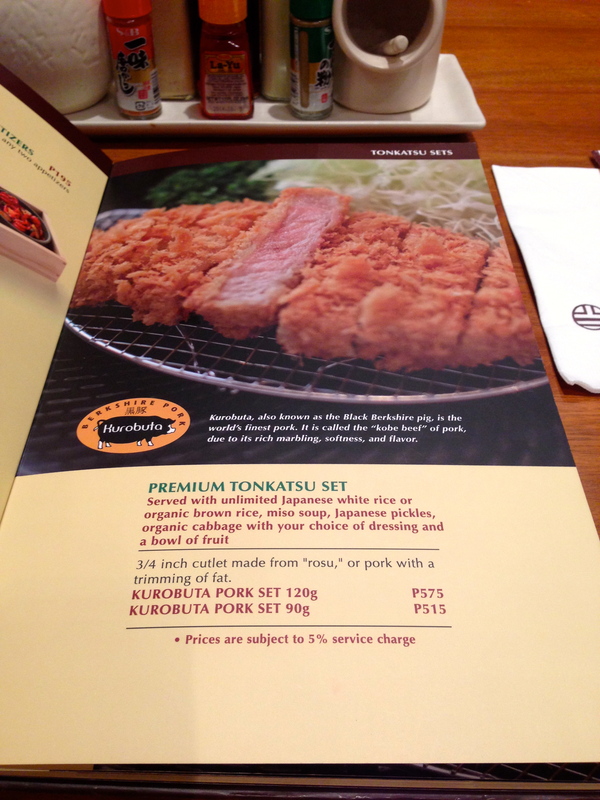 Anyway, we wanted to see what the Yabu craze was all about. I’m not a food critique, don’t have the expertise to do so, but I just share my personal experience. 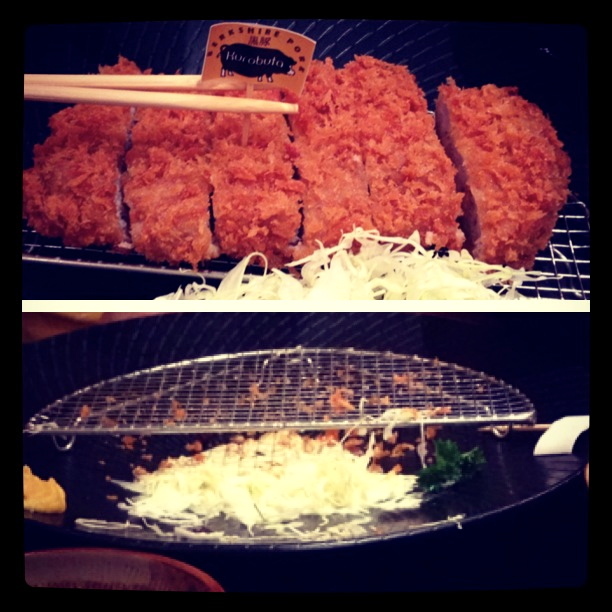 And for this recent Yabu experience, it was a great one! 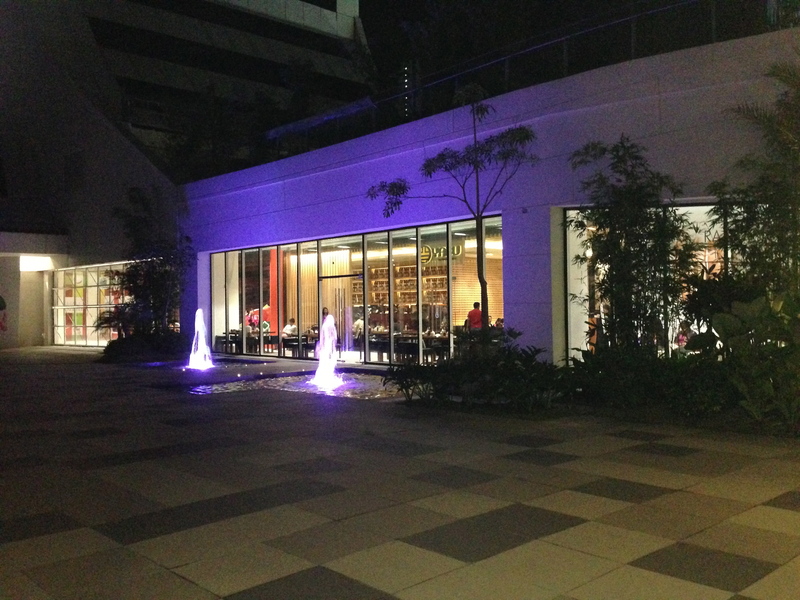 Yabu at the Sky Park of SM Aura, the ambience at night draws you to dine there. 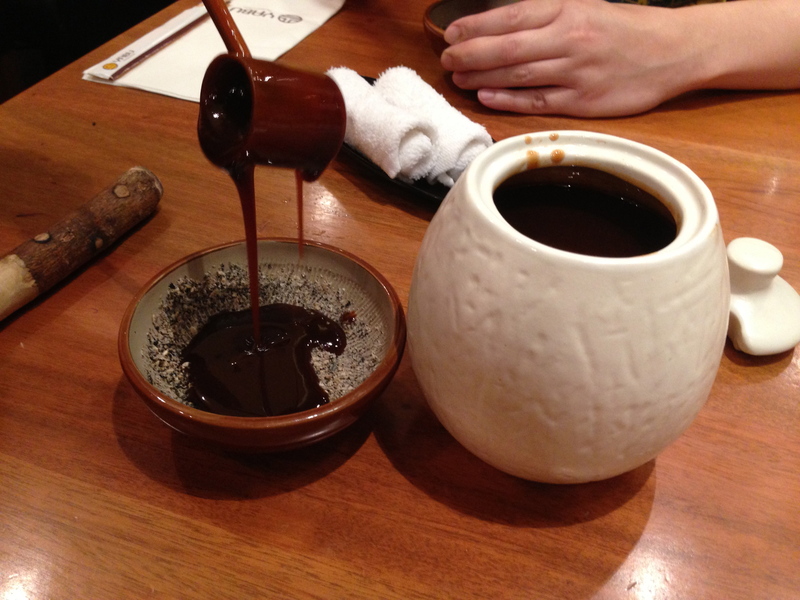 The secret to their katsu sauce – ground sesame seeds. Brings out a good aroma as you grind them. This simple mix gives your katsudon sauce a twist. See how rich the sauce is? 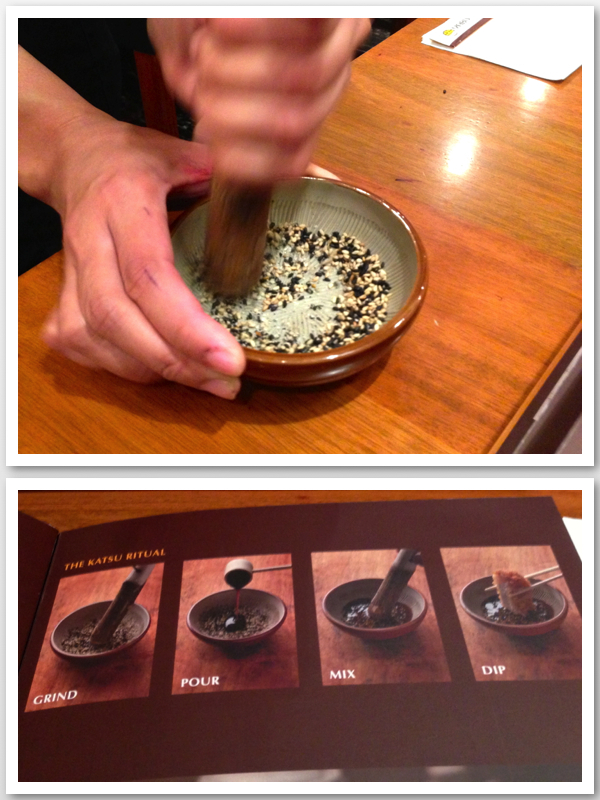 It was fun grinding the sesame seeds. We tried their bestseller—the wagyu of pork as they call it. It was WORTH IT! 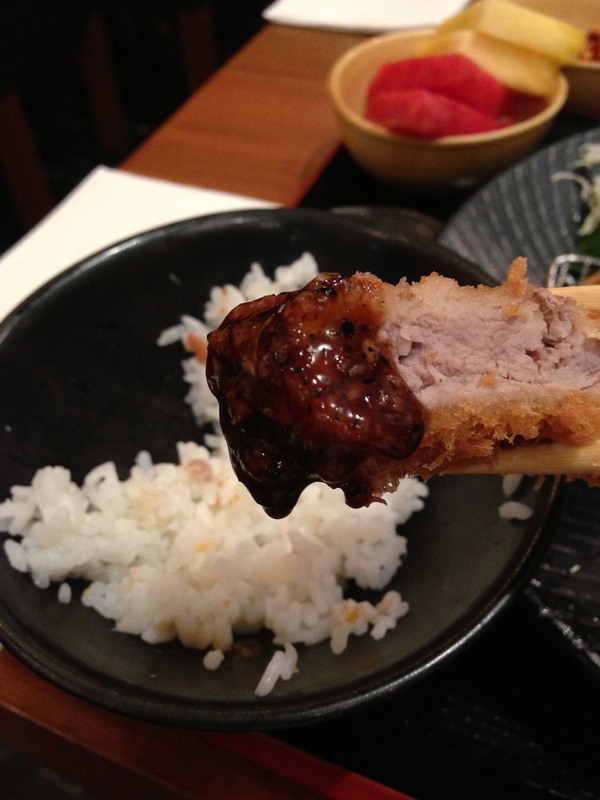 As I bit into the katsu (without sauce yet), I felt the crunchiness of the outside, and within a second, my teeth touched the soft and tender pork inside tasting its natural juice. At this moment, I knew our order was a winner! So I try my second bite, this time dipping it in the katsu sauce…it was perfection! To top it off, they had unlimited rice (which was the best rice ever! ), cabbage, fruits, pickles, and miso soup. What more can you ask for? My gosh, it was sooo filling! This is how the set looks like as they serve it to you. 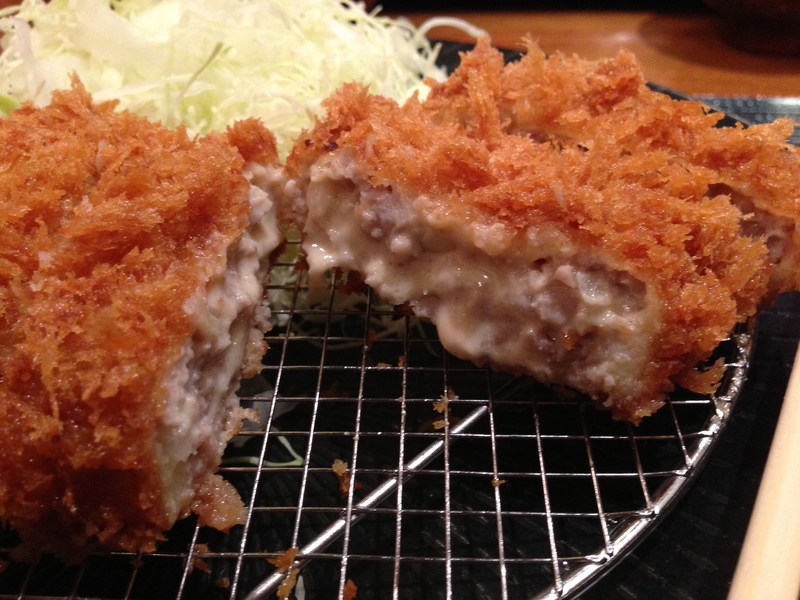 The other item we ordered was the katsudon with cheese inside. The picture says it all. The only problem is, if you eat too much than you normally do coz of excitement, it kinda gets “nakakaumay” or you get tired of the taste. I think it’s coz of all the oil and cheese. So make sure you eat the cabbage, pickles, and drink the soup so you won’t feel this. You’ll need all the neutralizers you can get to make it one magnificent meal all throughout! 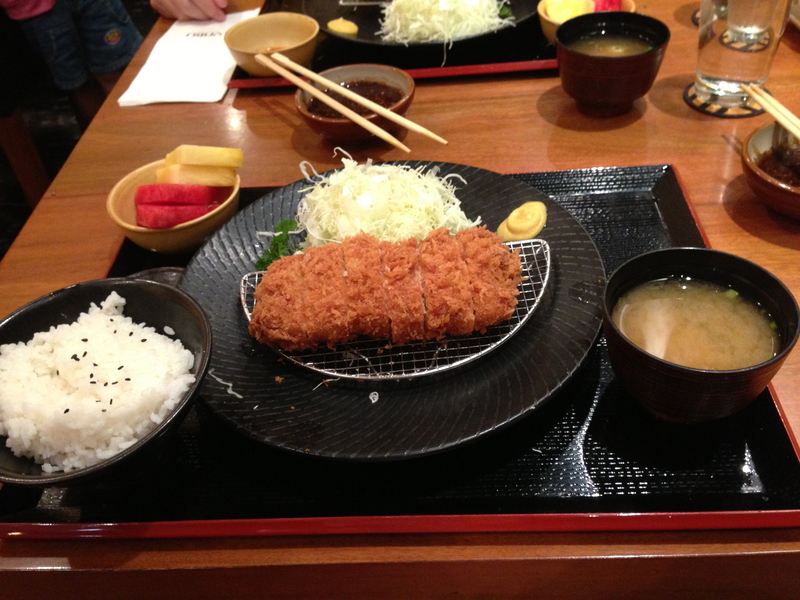 But nonetheless, we would definitely come back for more katsu yum! I like what they’ve done to their bathroom decor. 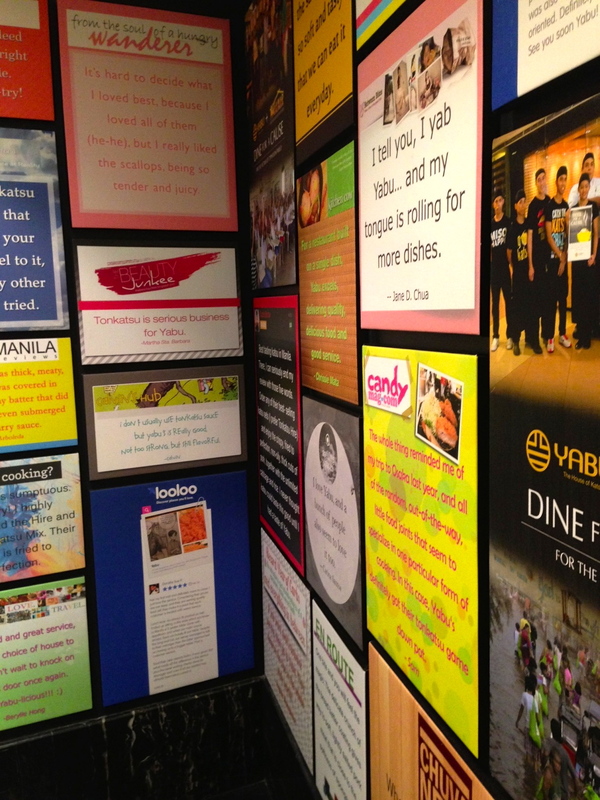 They printed on canvas different testimonials …cute touch! Btw, they have a contest on their website, the katsu craze! http://yabu.ph/igallery/. 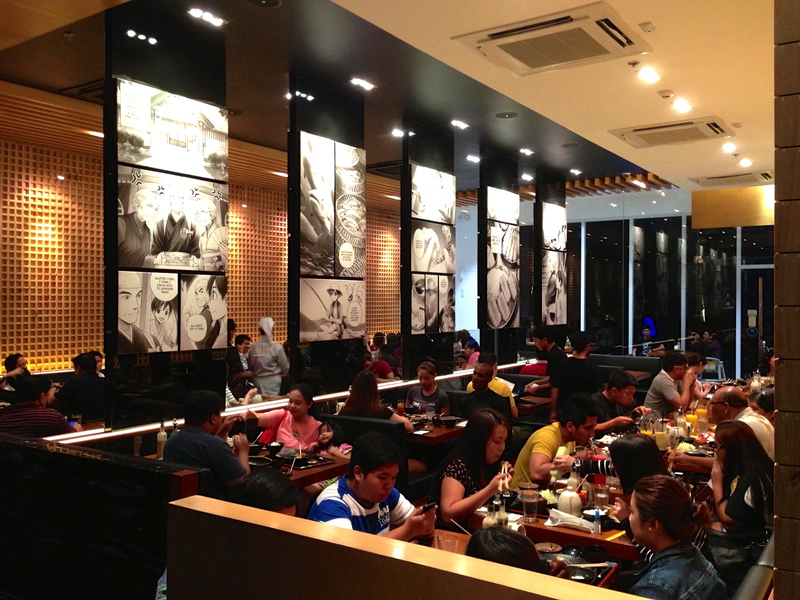 You might wanna join, who knows, you might win an iPhone just by posting your katsu experience on their new app. Check out the link for more information.